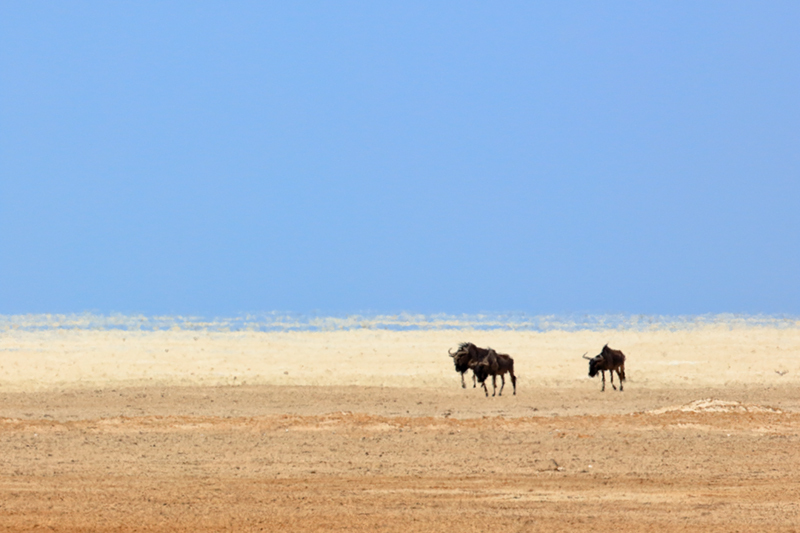 Wildebeest crossing the desert in search of water, surrounded by the bones of those who made previous attempts. Intense waves of heat distort both the horizon and the animals. Namibia.